Entrance to Hong Kong’s Tsz Shan Monastery, a Buddhist art museum founded by Chinese business magnate Li Ka-shing. 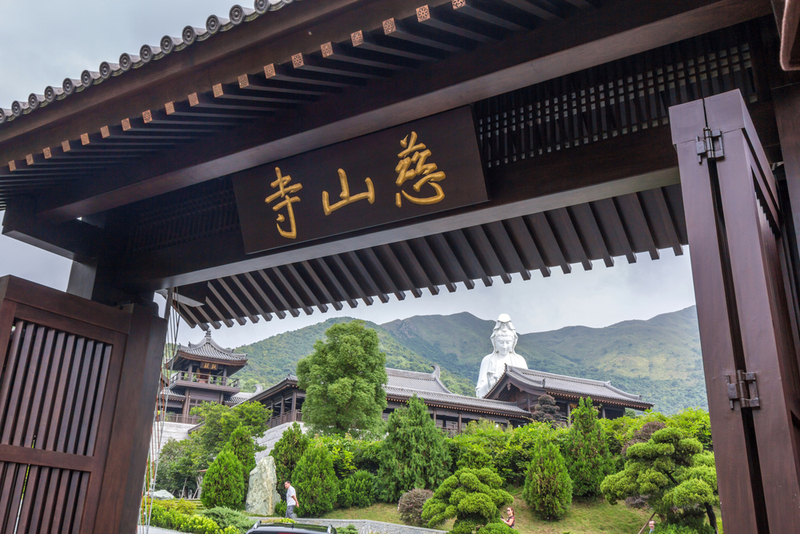 After more than 10 years in the making, Hong Kong’s Tsz Shan Monastery is finally ready to open its doors to the public. It’s a historic moment for local residents, given that it is the region’s first and only Buddhist art museum. “The museum aspires to promulgate Buddhist teachings, guiding our visitors in their journeys of appreciation of Buddhist art, thereby welcoming them to lead a purified, purposeful life,” the monastery’s mission statement reads. The museum was founded by Hong Kong’s richest citizen, Li Ka-shing. The 90-year-old billionaire began working on the project in 2003. According to Cai Xing Global, the 24,000-square-foot institution cost nearly $400 million to build. The picturesque monastery is like something out of a fairy tale; miles of luscious greenery surround the institution, as if to protect it from the every day stresses of city life. A giant 249-foot-tall bronze statue of Guanyin, goddess of mercy, stands watch outside. Inside, visitors can marvel at the beauty of 100 Buddhist statues along with 43 handwritten Dunhuang sutras. Members of the public will officially have access to the museum beginning May 1, 2019. Admission is free, but there’s a caveat: reservations must be made in advance.